Initially it comprised a single track line from Norwich to North Walsham that was extended to Cromer on the north Norfolk coast in 1877. A branch from Wroxham to Aylsham, opened in 1880. 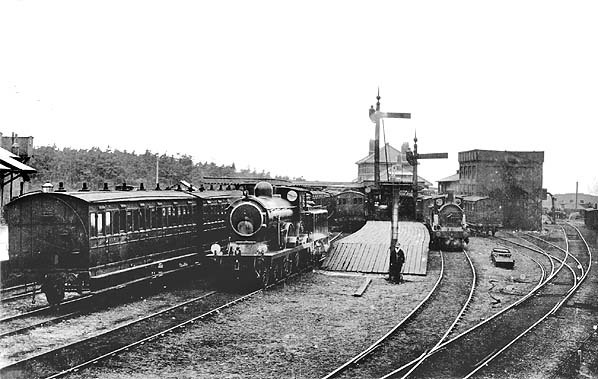 In 1882 the East Norfolk Railway was incorporated into the Great Eastern Railway who had operated the line from the its opening. 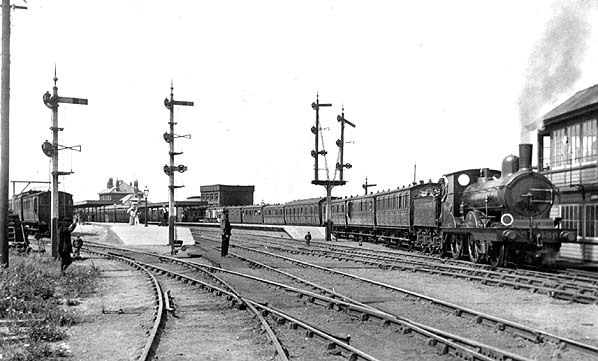 In 1906 a new line was opened from Cromer Junction, G.E.R, just outside Cromer (High) the G.E.R terminus, to join the Norfolk & Suffolk Joint Railway also opened in 1906, at Roughton Road Junction. Passing there a train came shortly to Newstead Lane Junction where a left fork took a G.E.R train around to the west, to Runton West Junction and to Sheringham M&GN and a right fork took N&SJ trains to Runton East Junction and into Cromer (Beach) the M&GN terminus. G.E.R trains only used the route only to go to Sheringham. Two station staff were kept there, one employed by the M&GN, one by the G.E.R. The M & GN station was known as Cromer Beach to distinguish it from the Great Eastern station. The Cromer Tunnel was built by the Norfolk and Suffolk Joint Railway to take their line under the Great Eastern's Cromer High to Norwich line; it is the only standard gauge railway tunnel in Norfolk. 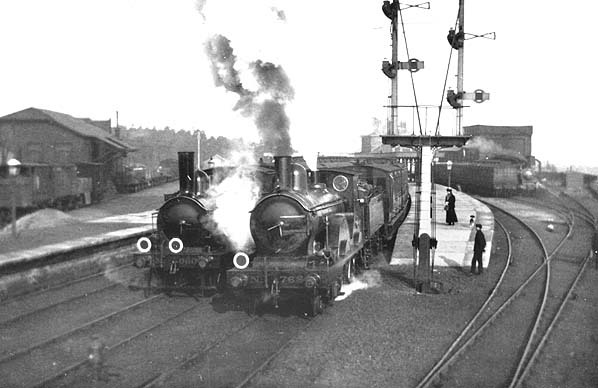 Due to the late Victorian popularity of Cromer as a holiday resort sections of the line were upgraded to double track between 1896  1901. 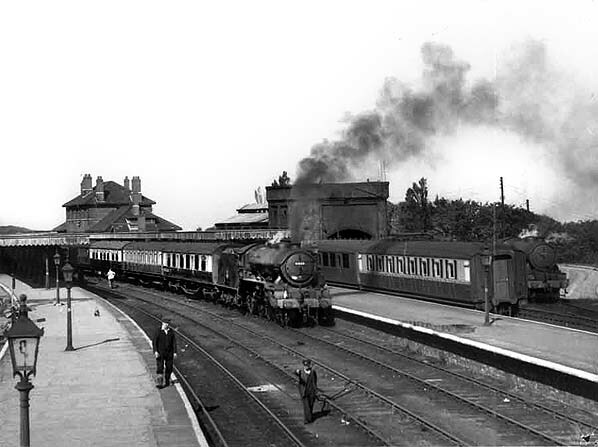 Initially the station was named Cromer but was renamed Cromer High on 27.9.1948. 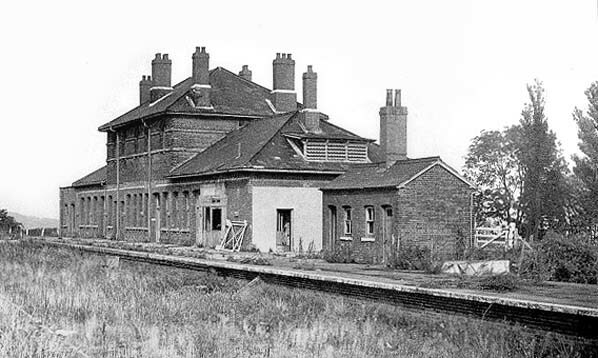 With the run down of the railways after nationalisation branch lines in Norfolk were decimated, even before the Beeching era and although the Norwich - Sheringham Line survived, the Aylsham branch was an early casualty closing in 1952 and the short branch to Cromer High followed in 1954 being an obvious candidate for closure sited on the edge of an escarpment high above the time, a monument to the inability of the ENR to engineer a station nearer the town, while the M & GN's Cromer Beach was well sited close to the town centre. The station closed to passengers on 10th September 1954 and to goods on 7th March 1960. The Sheringham line is still open and is known as the Bittern Line. 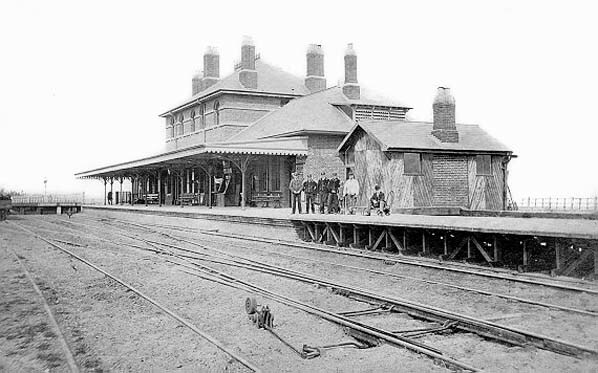 Cromer High Station shortly after opening. 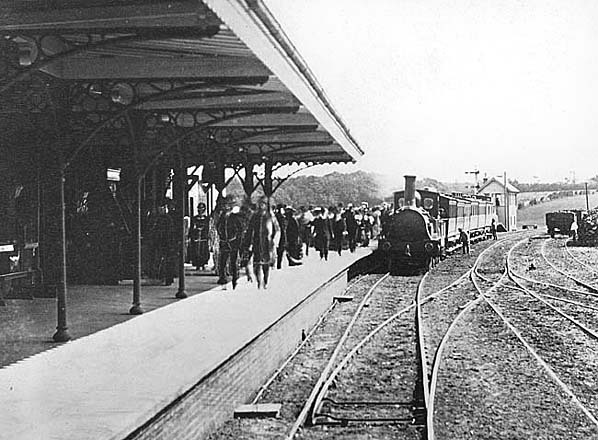 At this time the station only had one platform. 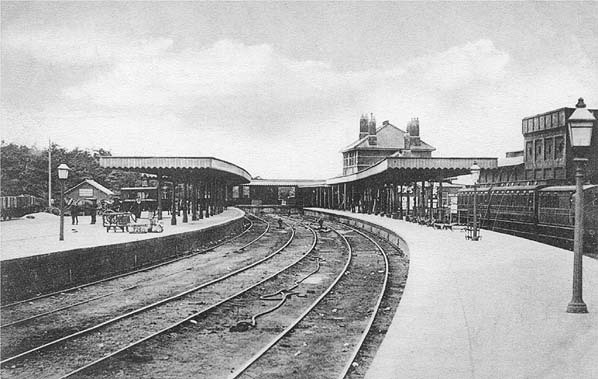 1887 1:2,500 OS map shows the original layout of Cromer station with only one platform. 1906 1:2,500 OS map shows a second platform has been added. This required the removal of one of the buildings in the goods yard which appears to have been relocated to the south side of the yard. 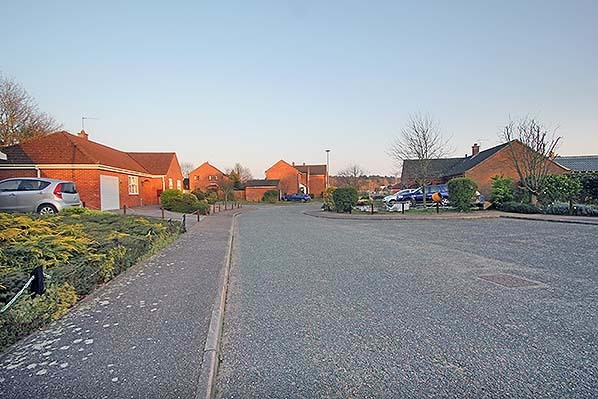 There has been residential development around Salisbury Road to the north of the station. 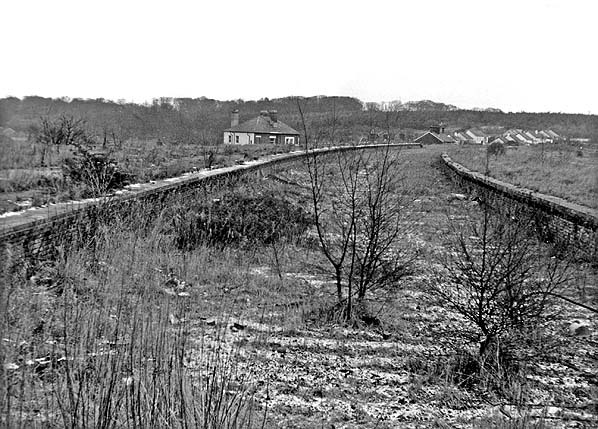 Cromer High station looking east in January 1970. 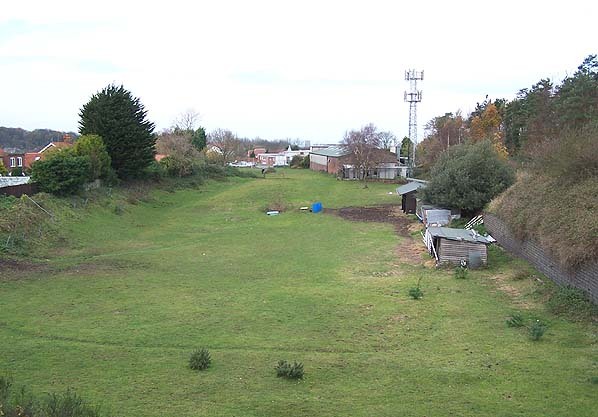 Looking north west towards the site of Cromer High station in autumn 2005. Looking south-east from the site of the station concourse in March 2018.